We are all usually surrounded by lot of questions related to investments, taxation, finance etc. In this article, we have handpicked 6 questions which are important and applicable to most of us. 1. How are tax rebates calculated for payment and prepayment of a home loan? Those who have availed a home loan usually have this typical problem in the initial years. The rebate under Section 80C is not available to the extent of amount repaid as principle repayment. Mr. Suresh (name changed) has started paying an EMI of Rs. 25,000 p.m. and thinks that his 80C is taken care because he is paying Rs. 3 Lakhs towards home loan. However, his principle repayment could be in the range of Rs. 30,000-40,000. Thus, balance 80C needs to be taken care. Another example, out of the total 80C limit of Rs. 1.5 Lakhs, lets say your PF deduction already takes care of Rs. 48,000 and your insurance payments are around Rs. 30,000, then you are already good for Rs. 78,000 as far as tax saving is concerned. So from the rebate point of view, you may pay a lumpsum of Rs. 72,000 towards home loan prepayment. But if you are paying more than that you may not get tax benefits for the additional amount. So, before you prepay your home loan, calculate whether the additional amount you intend to pay will fetch any tax benefits. 2. When do I need the help of a CA? This query could be in everyone’s mind. A CA is someone perceived to be performing audits for corporates. However, there are CA firms who undertake tax consulting for individual tax payers too. Are his services necessary for individuals? Well, this depends from person to person. If you have decent knowledge about taxation matters and can take care of your ITR filing without requiring a second opinion, you can do without a CA. 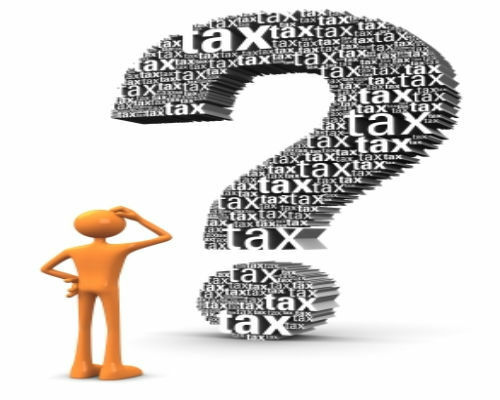 However, those who are either less knowledgeable about taxation matters or less confident without a second opinion should avail the services of a CA for routine ITR filings and for other taxation queries. Also, if you have a business which needs to be audited, then you would definitely require help of a CA. 3. What are the big tax breaks apart from 80C? Section 80D: This section deals with premium paid towards health insurance. The limit has been enhanced from Rs. 15,000 to Rs. 25,000 and Rs. 30,000 p.a. for someone paying premium for senior citizen parents. Section 80E: This section deals with the interest paid for educational loan. However, the loan has to be availed by the individual himself. For example, you cannot avail this benefit for payment of interest for loan availed by your children. 3: You have not traded in equity markets before investing in RGESS. r specified diseases. The maximum deduction available is Rs. 40,000 (and Rs. 60,000 if the patient is a senior citizen). If some amount of the expenses is reimbursed by medical insurance, it needs to be reduced. Section 54EC: This is available if you have sold a property and have some capital gains. You can invest upto Rs. 50 Lakhs in one financial year to save tax on capital gains. 4. When I will be audited? B] Your turnover is less than Rs. 1 crore but your profit is less than 8% of turnover. If you are a professional (CA / Doctor / Lawyer) and your receipts are more than Rs. 25 Lakhs, then you will be audited. 5. When will I get previous years’ refund? A] File your ITR on time. Delayed filing results in delayed refunds. B] If you are not using digital signature, don’t forget to send the signed copy of ITR V within 120 days of filing. C] Fill up your bank details with utmost care. 6. What’s the main difference between new ITR forms as compared to older ones? Detailed listing of all bank accounts held during the FY, details about your foreign travel, foreign assets, domestic assets etc. (ITR 2A for those having foreign assets). Author: Prof. Saurabh Bajaj is CEO with Nidhi Investments, Mumbai. He has been actively involved in writing for investor awareness since last 5 years. His articles have a readership from 64 countries across the globe. He may be reached at saurabh@nidhiinvestments.com for any queries. I was not aware of 80DDB and 80CCG. Also had vague knowledge on 80E. Thanks to you, now I am aware. Thanks for your Valuable Comments. Looking forward to more visits and feedback in future.